Look out, HGTV: CNBC is programming “Real Estate Thursdays” into its primetime lineup. 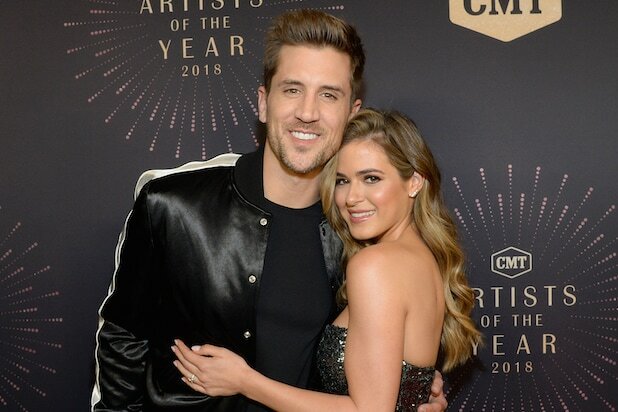 The cable channel has ordered three new real estate series — including one from “Bachelorette” couple JoJo Fletcher and Jordan Rodgers — and renewed “The Deed: Chicago” for Season 2. Also greenlit to series are the multimillion-dollar estate-sale show “Listing Impossible” and the fairly self-explanatory “Five Day Business Flip.” Finally, CNBC has placed “Simonsen Says,” which follows top real estate broker Lisa Simonsen, into development, the net announced Tuesday at the Television Critics Association press tour. Below are the descriptions of the new shows, as well as some reminder information on the returning one and the logline for CNBC’s newest addition to the pipeline. It’s all in the NBCUniversal-owned cable channel’s own words from here on out. On CNBC’s “The Deed: Chicago,” multi-millionaire real estate mogul Sean Conlon helps rescue struggling property developers from the brink of financial ruin, in exchange for a piece of the property and a share of the profits. This season: more ambitious projects come with bigger risks… and bigger potential paydays – from a high-end commercial designer who’s more concerned with her brand than the budget, to an ambitious ex-con who’s buried under a thirteen property flip. Produced for CNBC by Cineflix (Deed 2) Inc. with Dave Hamilton and Mark Powell as executive producers for Cineflix. Jim Ackerman and Adam Barry are the executive producers for CNBC.